How To Use Other People's Money For Your Business! John Ray, the famous 17th century author, was known to have written the aphorism, "Money begets money." In the business world, I'm sure you've also heard the saying, "You've got to have money to make money." 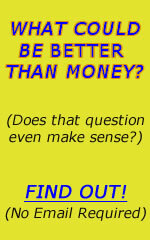 There are countless sources of cash, but by far, the best one to utilize for your business is ... other people's money. Perhaps one of the greatest "secrets" of the richest people in the world is summed up in those 3 words: Other People's Money - OPM for short. If you took a cross-section of the most affluent business people, you'll find that the majority of them launched their fortunes using OPM. In the next few minutes, I will show you how you can obtain other people's money for your business. What you do with the money, however, is up to you - but if I were you, I'd take P.T. Barnum's advice, and make money your servant so that you, too, you can make your own fortune. The use of other people's money has become such an ethical and acceptable mainstay in business because one can leverage other people's money to your benefit. For example, you can leverage borrowed money into high-yield investment programs that could generate a return that would then pay back your lender and line your pockets as well. Or you can leverage borrowed money into asset-producing or income generating real property. Or you can simply borrow money to start or grow your business. Of course, even with the proliferation of lending institutions and venture capitalists, it is often difficult to obtain other people's money. Well, since Wall Street Journal has kindly called me a man who "finds answers in unlikely places," I'm going to reveal an unlikely place where you can obtain other people's money. This one is available to all, and yet very few ever take advantage of it. It's the federal government. I've coined a phrase for this source of money: I call it "other taxpayers' money" - OTM for short. The federal government has millions of dollars of taxpayers' money allocated to funding businesses like yours. 1) If you want to get training and/or money to start your own business, millions of dollars are available at www.sba.com. They'll also show you how to find alternative sources of financing, how to protect your invention, how to sell your idea, how to license your product, how to write legal contracts, how to sell overseas, and how to buy business equipment. 2) If you want money to export and sell products to foreign countries, you can obtain it from the Export-Import Bank of the United States at www.exim.gov. Or you can go to The Overseas Private Investment Corporation (OPIC) at www.opic.gov. 3) If you want to obtain government contracts, then access the Procurement Assistance Offices online. Here, you'll learn how to draw up a business plan that'll get your business noticed. They can match the product or service you're selling with the appropriate agency, and then help you market to them more effectively. You can find these programs at www.dla.mil. 5) If you need free help or want to learn how to do your own personal or business taxes? All you have to do is access www.irs.ustreas.gov/prod/bus_info-bus_help.html. You can also obtain a free 26-page book on the Internet called The Credit Process: A Guide for Small Business Owners. It's written for small business owners seeking financing for the first time. It covers sources and types of financing; funding resources; preparation of a business plan; preparation of loan applications; and action to take if a loan is denied. It also contains an especially useful and comprehensive glossary of finance terms, agencies, and fair lending regulations. Matthew Lesko is a New York times syndicated columnist, and author of 2 New York Times best-sellers. He is regularly featured as the nation's top expert on government freebies on TV programs such as Larry King, Oprah, David Letterman, Jay Leno, the Today Show and Good Morning America. His latest book, "Free Money for Entrepreneurs on the Internet" identifies hundreds of little-known sources of free government money for "net-repreneurs" and reveals the secret formula for easily obtaining the money for your business.